18th Century New World Settlers. "I noticed particularly, one family of about 12 in number. The man carried an axe and a gun on his shoulders. The Wife, the rim of a spinning wheel in one hand, and a loaf of bread in the other. Several little boys and girls, each with a bundle, according to their size Two poor horses, each heavily loaded with some poor necessities. On the top of the baggage of one, was an infant rocked to sleep in a kind of wicker cage, lashed securely to the horse. A cow formed one of the company ,and she was destined to bear her proportion of service - a bed cord was wound around her horns and a bag of meal on her back. They were not only patient, but cheerful and pleased with themselves with the expectation of seeing happy days beyond the mountains". Diary of Presbyterian Rev. David McClure. 18th century. Getting Started in our Living History Group. Membership Cost: FREE. There are no membership fees, only an insurance fee of just $15.00 per year per person. 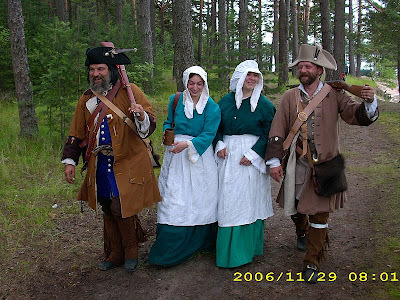 The following list will show you the very basic clothing and equipment needs to get started in the New England Colonial Living History Group. You can use modern clothing to start if you can't afford the period clothing or don't know how to make it yourself. Second hand materials and clothing are fine to use. There are oversized modern work shirts which do not button all the way down the front that will pass for a shirt or a man's 18th century work frock. Trousers are okay to start with as are modern black or brown shoes. These can usually be found in the op-shops at little expence. The same applies to the hat. We are here to help you get started, so if you need help making your clothing and equipment just ask, it is not a problem. Getting Started In 18th Century Living History. ©Keith H Burgess, Armidale 2350. The following information is supplied for members of the New England Colonial Living History Group (1680-1760, Armidale NSW, Australia). Basic Clothing & Equipment needs for beginners. · Hat (Wool felt broad brimmed). · Men’s work frock (shirt style or round frock). 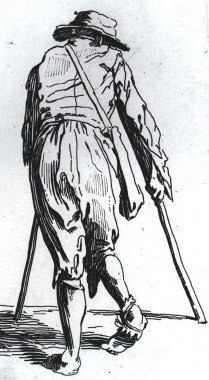 · Trousers, breechclout or breeches (These would normally be with a French fly, but as the frock covers all modern trousers can be used to start with). · Centre seam woodland Indian moccasins or black/brown lace-up leather shoes. · Neckerchief (suggest plain dark colour in black, brown or green). · Leather waist belt or woven sash. · Leggings & garters (Woodland Indian style in leather or wool. Garters can be woven or leather thongs). · Shirt (Linen or cotton). · Waistcoat/weskit (Linen, cotton or wool). · Breeches or breechclout (Breeches can be linen, cotton or leather). · Oil cloth or light canvas. · Knapsack, snapsack or haversack (Canvas or leather). · Water bottle (Leather covered glass bottle or leather costrel. A modern alternative may be used to start). · Food bags (Cotton, linen or leather). · Flint & Steel with tinderbox & greased leather fire-bag (A piece of metal file may be used to make a steel). · Flint, steel, tinderbox, greased fire-bag. · Belt knife (Butcher knife with pinned handle). 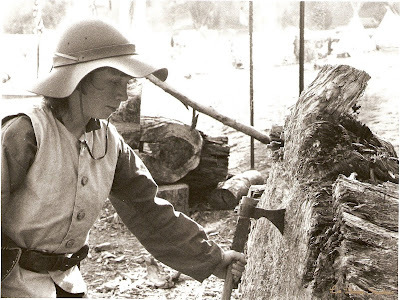 · Tomahawk or hatchet (Lightweight). · Muzzleloading fusil, musket or rifle or a primitive bow (Plus shot pouch & contents & powder horn). · Brass or copper trade kettle. · Period spectacle frames (Prescription lenses or safety glass). · Winter clothing: wool shirt, wool weskit, Monmouth cap, wool mittens. · Cap or straw hat. Woodland Indian (Native or white/black adopted). Our Club House In The Woods! These are photos of the 18th century style open fireplace in our club house which is in Wychwood Forest. We use this fireplace for cooking and if you look closely you will see the chains and hooks for the kettles hanging in the fireplace. We also do small Blacksmithing work in this fireplace. On the fireboard you will see two rush holders as well as a candle holder. This is where we hold our regular meetings when there are no outside activities planned. It was a sudden impulse rather than a thought, which made Mrs. Pentry. level the gun at his broad back and pull the trigger. The Indian leaped into the air, and fell back in the water dead, with half a dozen buck-shot through his heart. At the same moment she felt a strong grasp on her shoulder, and heard a deep guttural "ugh!" Turning her head she saw the malignant face of another Indian standing waist-deep in the water, with one hand on the boat which he was dragging towards the shore. Wine Use In The Colonies. Nothing like a nice wine to finish off the day around the camp fire after trekking in and constructing your primitive shelter. However by the mid 18th century, longer, flat-sided bottles were designed which would lie down, their corks kept wet by contact with the wine. As a consequence wine making now took on a new dimension. As a consequence today’s great names of Bordeaux, Burgundy and the Rhine first started to be spotted. In Italy eighty percent of people were earning their living from wine and in France there were massive plantings rolling southwards from Paris. Also the vine had moved abroad thanks to explorers, colonists and missionaries. It went to South America with the Spaniards, S. A. with French Huguenots, and to Australia with the Brit . Could anything stop this tide of wine expansion? An Explanation of Living History that I hope you can understand! I met a chap and his lovely wife today to talk about what we do in our group, and I have the feeling that once again I failed to get across what it is we actually do. I will attach a video here, just photos of the fort and the people in it but you have to understand that although this fort is an important part of New World history, it is also the playground of 18th Century Living Historians. And that is what we are, 18th century Living Historians and Wychwood Forest is our playground. To understand better what it is we do you need to turn the clock back to your early childhood, to the games you used to play and the large part that your imagination played in those games. What we do in the New England Living History Group is we use our imagination in conjunction with our period clothing and equipment to turn the clock back 300 years. 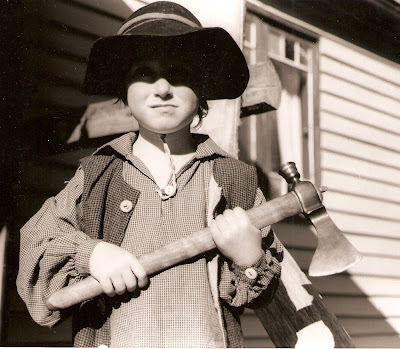 Just like when I was a kid playing at being a woodsman in the New World with my rubber tomahawk and rubber knife and my toy flintlock gun, except now these toys are real! I can throw my tomahawk and stick it in a target block. I can really shoot my flintlock fusil at targets. I can light my fires using flint & steel & tinderbox and so much more. Without make-believe it would still be fun, but with make-believe it is exciting. This chap I met today is 80 years of age and he still yearns for adventure. But as he said, everywhere in the world has been discovered, there is no more new adventures left to experience. But I think there are new adventures, I think that doing what we do in Living History is re-living those adventures but this time round it is us that is taking that journey to a distant land, be it having travelled to the New World in search of a better life, or journeying into the deep and foreboding forests of the New World. With our imagination we can go anywhere and do almost anything. Maybe some of you are too old now or not fit enough to withstand the hardship of trekking and camping 18th century style, but that does not stop you from doing as much as you are able. You can still drive to a camp area and drop off your pack or park away from the camp site and walk that short distance in. 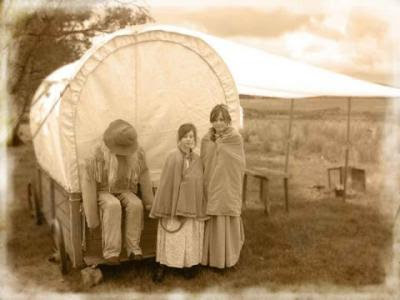 The fun part is experiencing the lifestyle, using the period equipment and imagining that you are in deep wilderness. You can practice those primitive skills such as making cordage and constructing a primitive shelter. 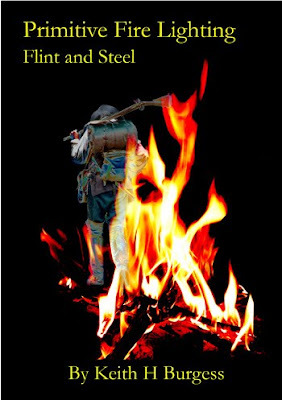 You can make your fire with flint and steel and cook your food over an open fire. You can sit there drinking your tea whilst watching the sun go down and next morning you can watch it rise again. How long since you did that? I think many of us have forgotten how to play; some of you like me were an adult in full time work at the age of 14 years. Well I may have missed out on a lot of playing then, but I intend to make up for it now. If any of you feel like an adventure, some excitement, some make believe, then come and join us. Here are some pics of our woods-walk targets. These can be used stationary or on our pop-up target range. These are for use with either bow or muzzleloader. These will probably be placed somewhere along the Wilderness Trail between the fort and Fox Valley camp area. Publicity! Recruitment! Will the public know who & what we are? 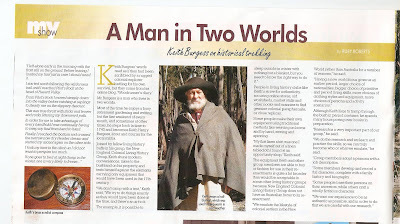 Well I have just had an article written about myself and our Living History group and published in "My Life Magazine". Fingers crossed that this generates some interest or at least some curiosity. I am sure there are a lot of people out there of all ages and various walks of life that would really enjoy what our 18th century Living History group has to offer, but my ability to help them understand who & what we are is obviously sadly lacking. If this magazine article draws no attention then I guess nothing will. FINGERS CROSSED EVERYONE!!! French & English Rivalry in Quebec. "It was also time for Anne to change her style of dress. She would be clad for revenge in an old petticoat, a man’s great coat and hat, and buckskin leggings that reached from hips to feet. Those feet sometimes sported moccasins, sometimes a pair of men’s sturdy shoes. Around her head was tied a bandana the hue of any one of many lonely wilderness campfires that would warm her in the coming years. That red scarf held in place her hair, said to be long, grizzled and matted. In addition to a tomahawk and a knife, about her person hung a bullet-pouch and a powder horn. A good and sturdy rifle completed her outfit". Copyright Mary Trotter Kion 2005. The Unconquered, 1947 movie. Could not resist posting this one! New Holland & The New World Living History. 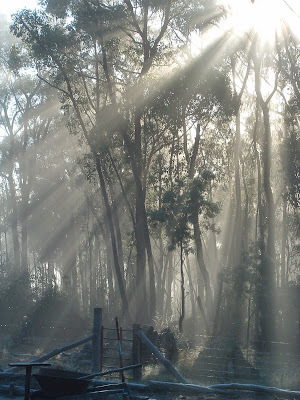 I took this photo this morning from our front door and thought it a nice picture to introduce this following article. This is looking east at sunrise near Armidale in New England. New Holland. The Early Exploration Of Australia. · 1688 - William Dampier was the first Englishman to land on the, now called, New Holland north-west coast. Part buccaneer, part scientist the adventurer Dampier found it no more "fruitful" than his predecessors. · 1699 - Dampier returned officially eleven years later as commander of HMS Roebuck on a voyage of discovery for the British Admiralty. He gave the first written impressions of the flora and fauna, as well as the Aborigines which he described as the "miserablest People in the world". But his descriptions, said to be the inspiration for Gulliver's Travels, inspired European scientists. Cook and Bougainville came to Australia much later because up until then they were both involved in the French and Indian War in the New World. 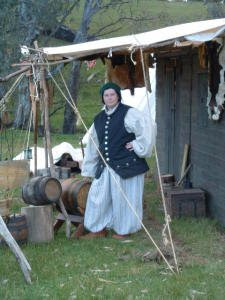 We have had some enquiries regarding the lifestyle re-enactment of early Australia. As I have explained many times there is good reason for our group to avoid emulating early settlers in Australia. For one the period is too late for our interests, the only dates for exploration that come close to our period of interest are those above. Later than this we fall into the first penal colony and the only personas available at that time would be military and prisoners. After this we get into free settlement and the atrocities committed against the Native Peoples, and I do not want to go there for obvious reasons. 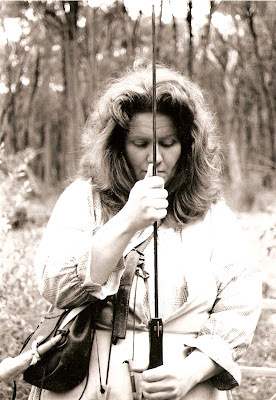 After this we are in the Bushranger period. Bushrangers were the thieves, robbers and highwaymen of Australia and I see no enjoyment opportunities here. Australian Living History Historians for the most part must emulate the English. If your ancestors came from anywhere else they would not have been in Australia. The skills available are very few, limited basically to those living skills used in England. Your clothing would be basic poor peoples dress and not in very good condition, or it would be military uniform. For activities there are not many, you would be tied to the penal settlement or a farm whether male or female. Some would have had skills such as carpentry, but the lifestyle would still be poor. The New World. Life in the Colonies. Settlement and exploration started very early in the New World. Many people from different countries settled in the New World, not just the English. There were a wide variety of trades being practiced which gives the Living Historian more personas to choose from. 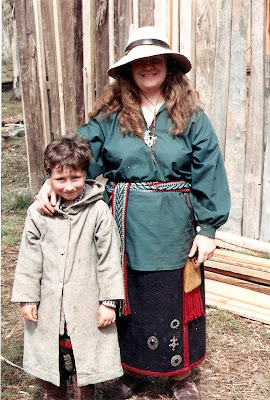 This in turn gives a larger variety of period living skills and primitive skills to learn and practice. With a larger choice of characters to choose from this also gives us more activities and scenarios to work with. There were woodsmen and woodswomen, there were Native Peoples, white Indians and black Indians (captured & adopted into Indian society). Every man in the colony between 16 and 60 years of age was required to join a trained band (militia). These characters alone give us ample opportunities to trek and camp in the woods and practice a large variety of primitive wilderness survival skills. 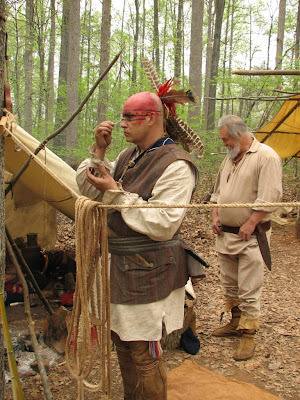 Lifestyle conditions in the New World settlements were generally good, at least the people owned their own land and were free to make of their lives and living conditions what they would. There were dangers involved, but this only enhances our ability to create more activities and practice more skills. 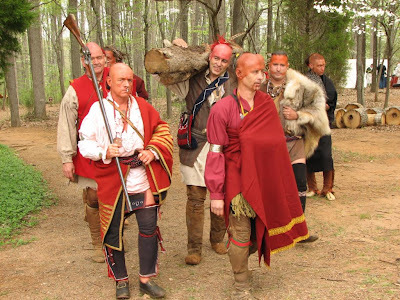 What it all comes down to is a much larger choice of things to do and skills to learn in New World Living History than there is in Australian Living History. We do what we do for fun, we learn a lot along the way, far more than you will learn from books or in school but to enjoy ourselves is our main aim. FREE Book give away & Recruiting for the New England Colonial Living History Group. I am extending the offer of the Primitive Skills Book give away until the end of September. 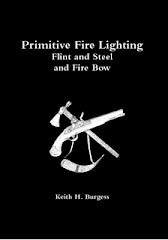 The first 5 people granted membership to our group before the end of September will recieve a copy of my book "Primitive Fire Lighting-Flint & Steel". This is only open to those members who can actually attend our meetings near Armidale and participate in our activities. If you THINK that you MIGHT be genuinely interested in joining our group then we would be very pleased to have you visit so that we can explain what our group is and what we do. I can be contacted on Phone: 67 755 292, or you can contact me through this blog. 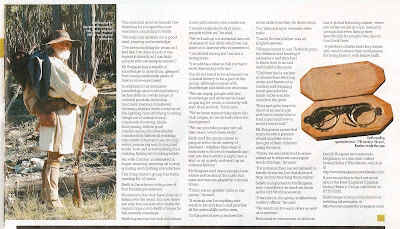 Recognising Natural Shelters in the Woods. You can miss such a lot when in the woods and it is a good idea to train your brain to notice things around you. This might be a good camping spot or some tinder plants or natural shelters. You never know when a natural shelter might come in handy in a sudden rainstorm. I have used natural shelters many times when Historical Trekking in the forest, hollow trees both standing and lying down, some that need my oil cloth to complete the roof or maybe a burnt out termite mound. Some of these termite mounds are large enough to stand up in. Ones like this one in the attached picture afford room for shelter or as a safe fire place in dry weather. Bows, Tomahawks And Our Cottage Club House In The Woods. We lived in Elm Cottage for about 20 years, but now it is the New England Colonial Living History Group's club house in the woods. This pic shows my primitive survival bow hanging over the fire place in Elm Cottage where our group meets. 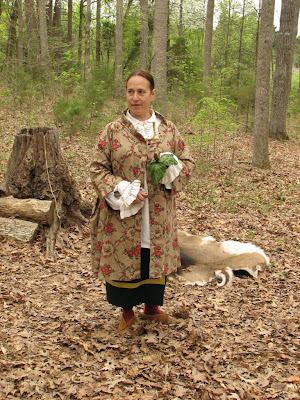 Clothing & Equipment List For Beginners In 18th Century Living History. · Leggings & garters(Woodland Indian style in leather or wool. Garters can be woven or leather thongs). History of Colonial America 1497-1763. STRESS LESS DAY! 7th of October 2009. Wednesday the 7th of October is STRESS LESS DAY and the New England Colonial Living History Group will have a stall in the Armidale NSW Mall from 10am. If there is anyone in the Armidale district who is looking for a social group or club to join then this is the day and the place to be. Drop in and say hello even if you are not interested in joining our group. There will groups and clubs in Armidale NSW mall with brochures etc. There will also be bands and singers, art and demonstrations. If anyone is looking for a social group or to make contacts withing the community this is the day and the place to be.The New England Colonial Living History Group will have a representative there with brochures, pictures of group activities and information about the group. Activities/stalls open at 10am and finish at 2pm. 18th Century Trading with the Indians. Living History Presentation. The Siege of Niagara Re-enactment promo. A pity they don't put a little more effort into getting the clothing right for the period, it makes a big difference. 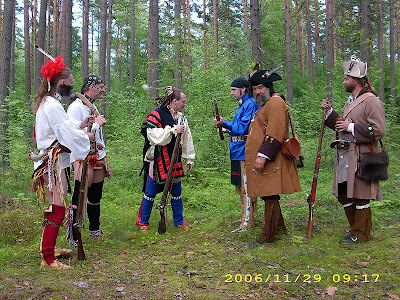 Woodland Indian Re-enactors in Russia! You have to give it to these chaps for trying, when they do something they go all-out! Second from the top is an American Re-enactor in the US. 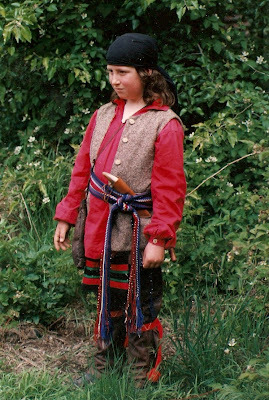 The Greens Rangers Historical Trekking in the UK. Keith is now a member of Greens Rangers. More pics for the Haversack article. Haversack/Habersack or not to Havresac? 1636ad. This bag shown attached to waist. Haversack/Habersack or not to Havresac ? For a long time now there has been some conflict of opinion in regards to the haversack having been used by civilians. I have always maintained that such an item, once used to carry oats for horses from as far back as at least the Crusades, must have been used by civilians at one time or another. So for those of you who are not military, and wish to use a haversack, here is the documentation you need to justify using “The Haversack”. The English called it a Haversack, the French a Havresac, and the Germans a Habersack. All three names mean the same thing, an oats bag. Somewhere along the line this bag got used to carry food for soldiers, and because there are good records kept regarding military matters, then there is more information pertaining to the use of the haversack by soldiers than anyone else. However, once I started going back in time to the medieval period and beyond, I soon found that there was more than one bag matching the description of the haversack, and these bags tended to take on the name, related to their use. Some of these bags are: the Pilgrim’s Bag, Foraging or Forage Bag, Sack Bag, Bread Bag, Pocky. This style could also be known as a Beggar’s Bag, and probably more names that I have not yet found. All these bags follow the same style, some large and some smaller, some with flaps and some with no flap, some with buttons closure, and some without buttons and finally some with what appears to be a slit opening near the top of the bag, on the outside. In the following pictures and quotes you will be able to see for yourself that soldiers, militia, and civilians from all walks of life used these bags, by whatever name. Note that this 1750 French Havresac looks similar to the period satchel. Late 18th century. 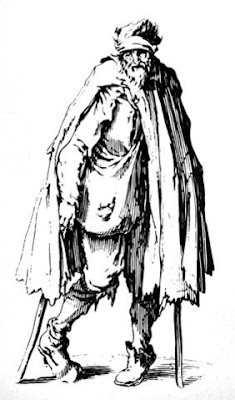 Dr Syntax’s servant wears a haversack. 1672-1708. The Bear Leader. 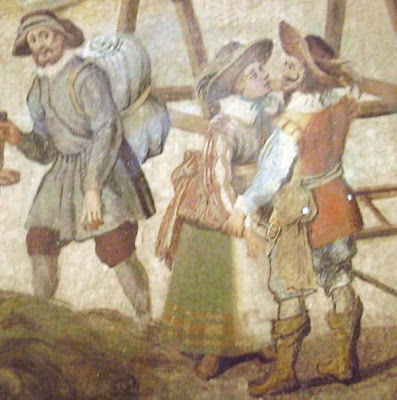 This picture clearly shows the bear leader wearing a haversack or the same type of bag as the haversack. 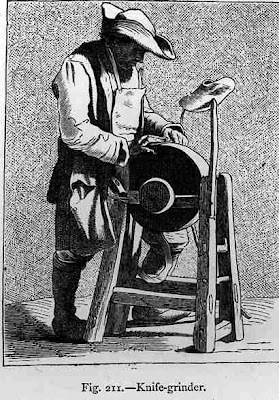 Dated 1737, this knife grinder uses a haversack or similar, with what looks like a slit opening. 1. John Short, Violent Theft > highway robbery; George Thomas, Violent Theft > highway robbery, 2nd July 1746. Nightingale. Yes, my Lord; please you, my Lord, he told me of the Haversack and Handkerchief, and every Thing; he told us they were Pieces made out of Muskets, before ever we saw them . 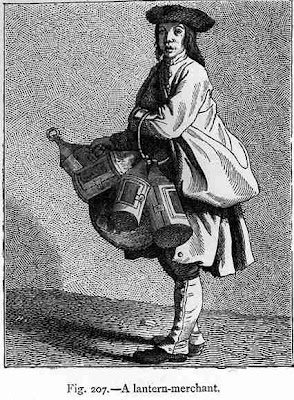 This lantern merchant clearly uses a large haversack type bag. At least a couple of haversacks can be seen in this picture which I believe to be civilian French militia, late 17th century to early 18th century. Certainly there seems to be no uniforms. These 15th century pictures show two different haversack type Pilgrim bags. Beagle is the oldest hunting-dog breed and belongs to the smallest boodle hounds. Name "beagle" is deduced from a word "small" (celtic "beag", oldenglish "begle", oldfrench "beigh"). There are notations in books about so-called dwarfish beagles, which used to be carried by hunters in haversacks on horses. Another type of haversack type bag which appears to have pouches attached. clothing, haversacks, and blankets were served out to them “Parkman, Francis, Montcalm and Wolfe 1823-1893. 1806. 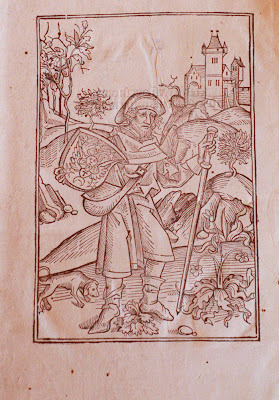 Houndsman wearing a haversack. ”It should also be watched that the men bring good Arms and Accouterments, Blanket, Haversack and Knapsack at their own expense.” 1776. And potatoes were a common crop. We know that because hungry German mercenaries scavenged for spuds in the field where many were to be slain the next day, even, said witnesses, tying off the ankles of trousers and filling them with the tubers when their forage bags were full. Two “Beggar’s Bags” joined on a medalian. 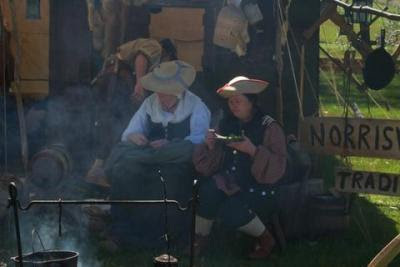 The Frontier living History Group in Victoria. Yes it is true, people were ignorant/stupid enough to invent and use glass powder horns! Nor can the wit of man in this deceive it."